Maya'xala xan's Awinakola is a group working to support the occupation at the Swanson Island Fish Farm. Neither the 'Namgis nor the Mamalilikala First Nations want the farm here. We are working peacefully to remove the farm from our territory, but we have many expenses to do this. Please help us. 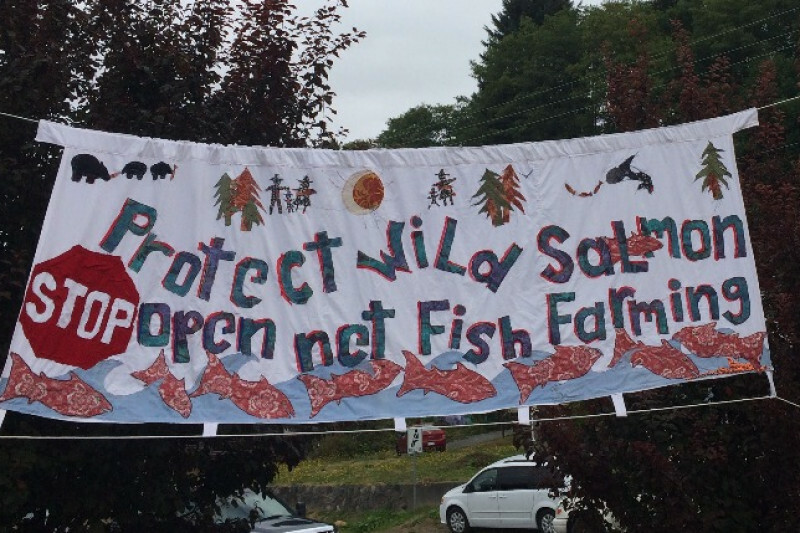 Happy New Year to all Wild Salmon Supporters!!! January 1st, 2018 marks day 131 of the Occupation at Swanson Island to remove open net pen fish farms from the ocean in areas where they are not wanted by local First Nations. We have been here through winter storms, Christmas and New Years and show no signs of leaving until the land tenure licenses are not renewed at locations requested by First Nations. Expenses to keep the Occupation and pressure on the Provincial and Federal Governments to remove these fish farms continues to build.